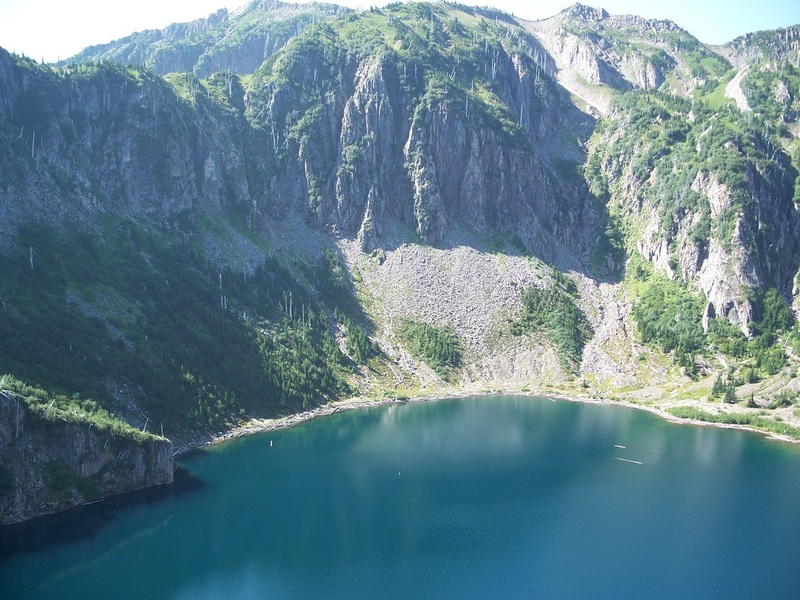 This is a mostly loop hike across Whittier Ridge and through the Lakes region in the Mt. 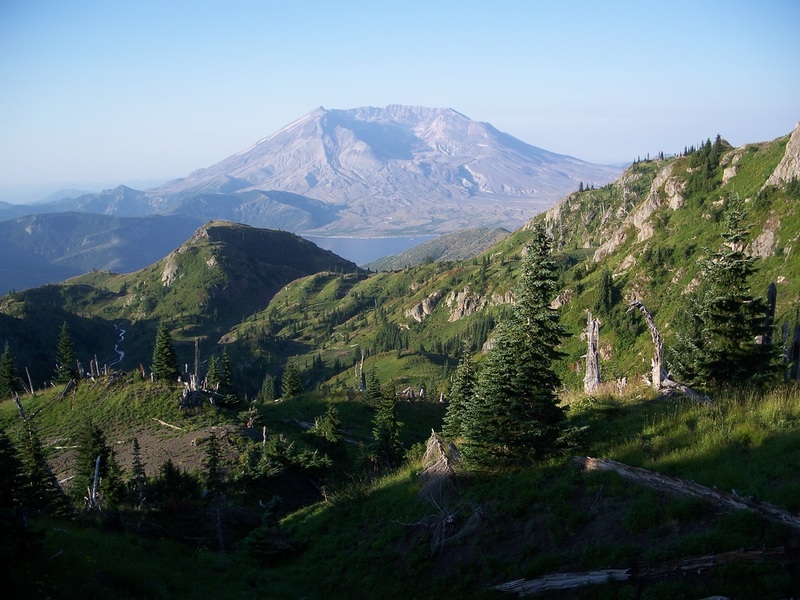 St. Helens National Volcanic Monument. Head up from the Norway Pass trailhead to Norway Pass (two different spots), with a classic and awesome view right across Spirit Lake and to Mt. St. Helens. Continue ascending on the Boundary Trail, coming to a small saddle. 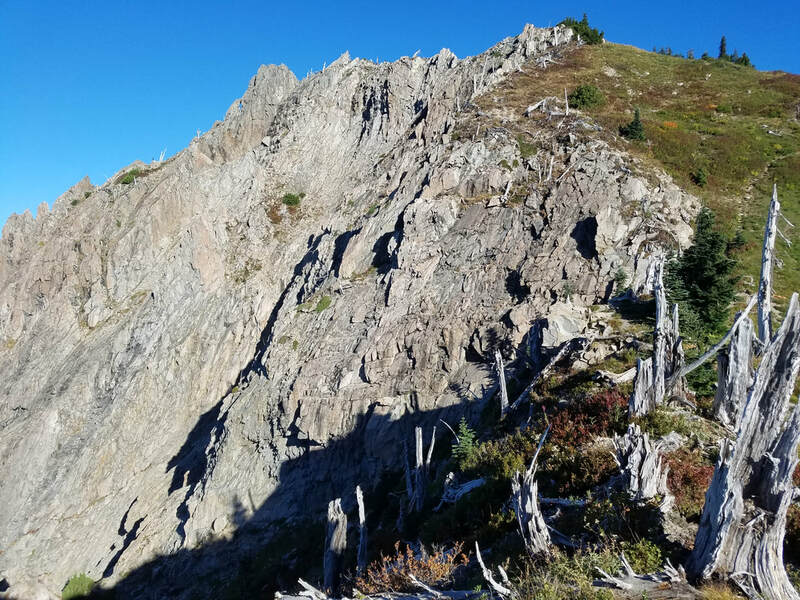 Look north from this point and assimilate Whittier Ridge: jagged, steep, all rock. There is a 'trail', but this two mile stretch requires a high level of route-finding and hiking skill. 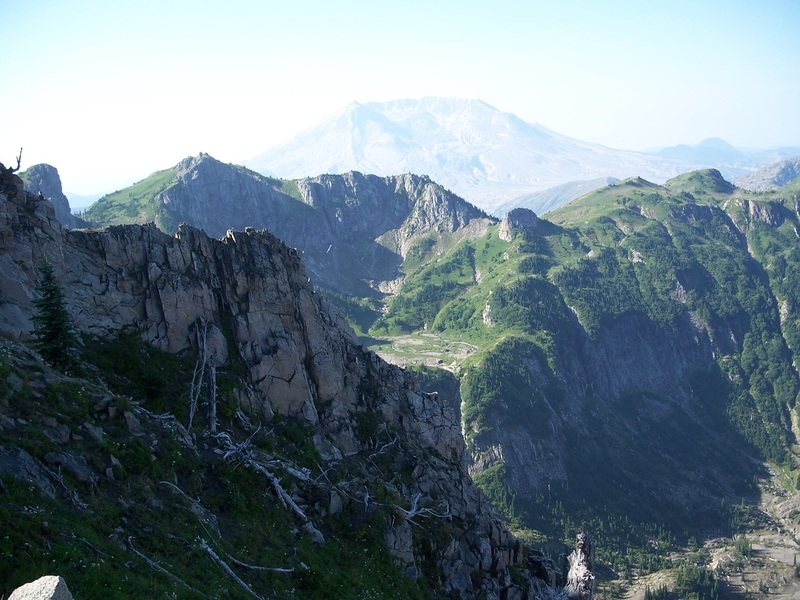 A mixture of goat paths, steep rock scrambles and narrow tread will warrant your utmost focus. See warnings on USFS website. Nonetheless, while allowing a couple hours minimum to make the trek across the ridge - with the 5,900' summit of Mt. 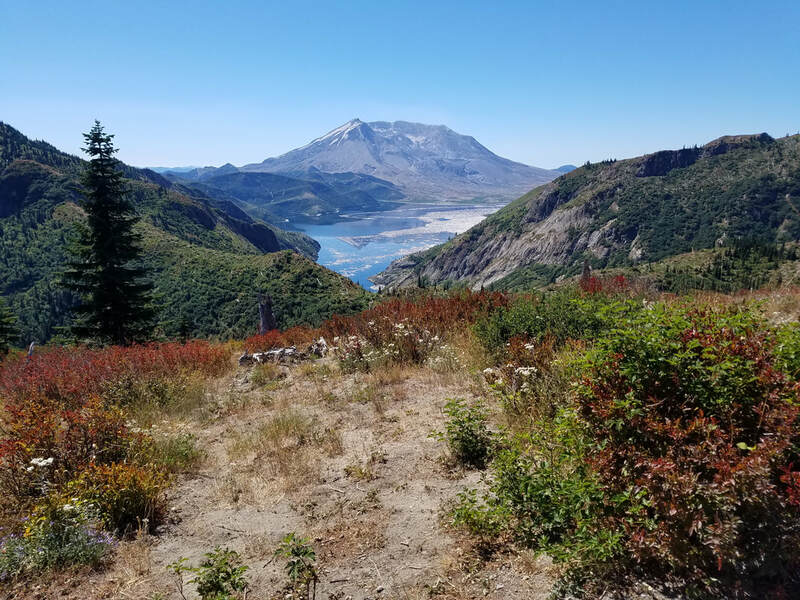 Whittier reached as well - the rewards are unequalled, with views of lakes, volcanoes, rock cliffs, and green valleys to highlight a few. 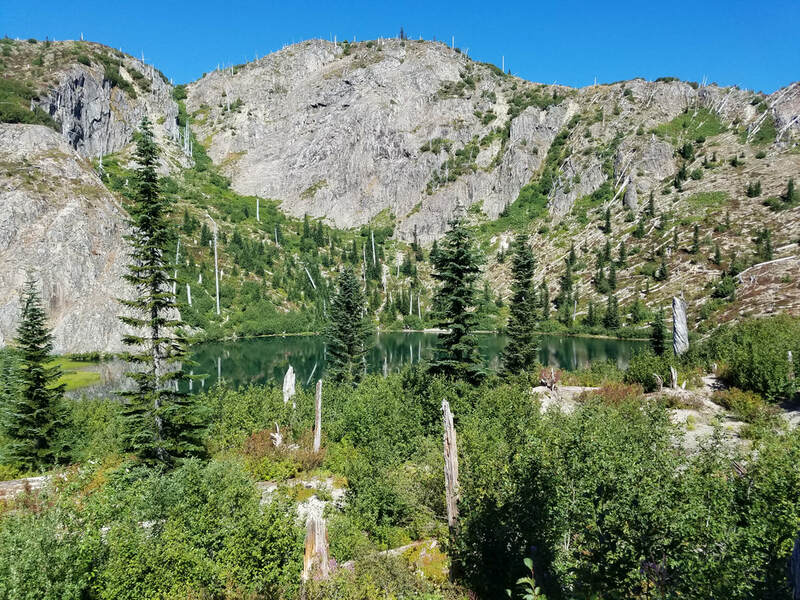 Once across the ridge (and maybe confessing to a slight sense of 'because it's there' satisfaction), decompress and comfortably enjoy the wide-open spaces of the Lakes Trail and the several much appreciated lakes as you pass by. Ascend Bear Pass, and then backtrack down to Norway Pass and the lot. Water may be non-existent in the late summer until the lakes (a pump is at the trailhead), and camping is by advance permit only. Additionally, Road 99 must be ungated to access the trailhead, which may not occur until well into summer. Crossing Whittier Ridge should only be done with optimal weather and snow-free conditions, so this could be an August or later trip. 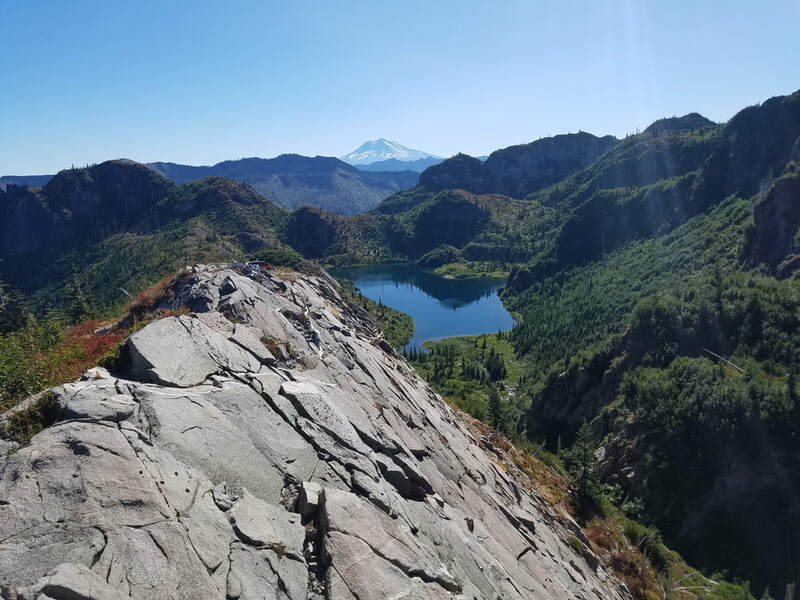 If you choose to make this a day hike, the trail map recommends a clockwise direction, tackling Whittier Ridge somewhat early in the trip. This way if Whittier Ridge is determined to be not for you, make the smart choice and turn around (maybe make the short side-trip to Mt. Margaret) and have the lesser five or so mile hike back. 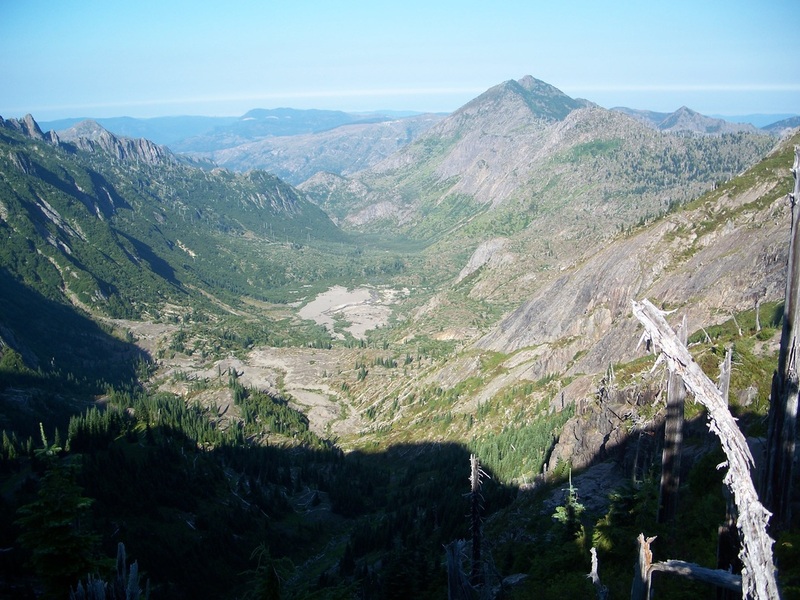 A Northwest Forest Pass is required for the Norway Pass trailhead.